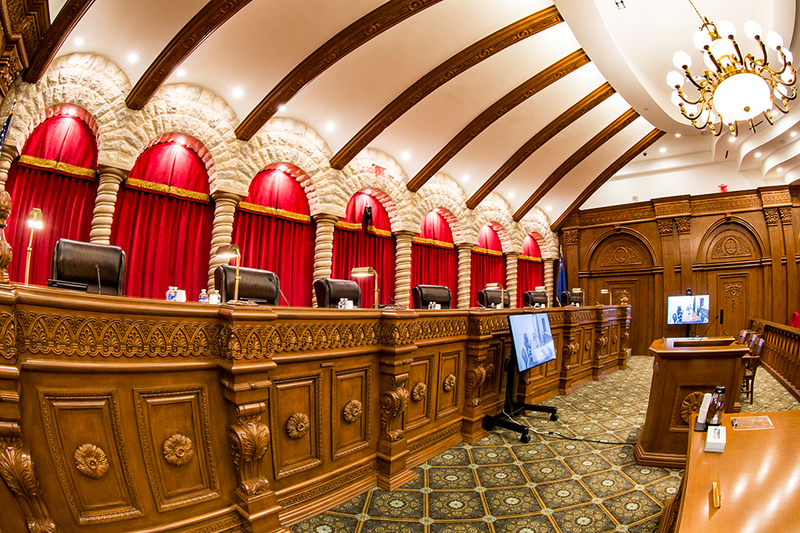 The brand new Nevada Supreme Courthouse in downtown Las Vegas features a 72-seat courtroom with wood paneling, red velvet curtains, and red stadium chairs to give the courtroom a distinctive appearance. 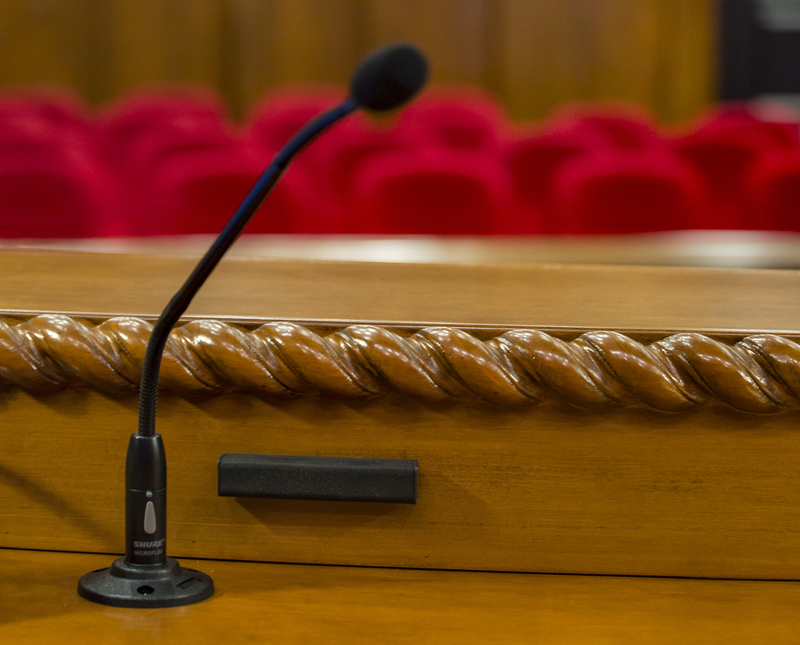 Given that audio plays a critical part of court proceedings, the courthouse required a top-grade system that could accommodate good sound reinforcement, audio recording, audio streaming, assisted listening, video teleconferencing and room overflow. Conference Technologies was brought in to confront the challenge of balancing high-quality audio for both in room and out of room feeds. 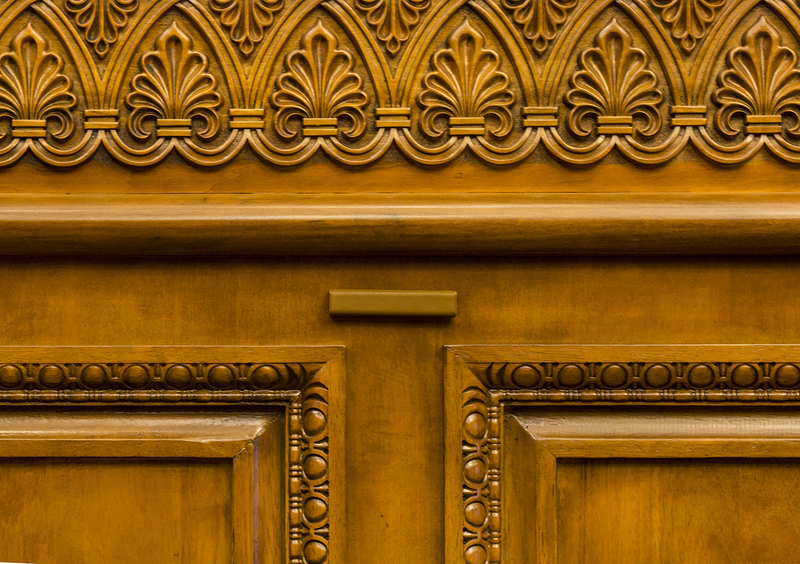 The local audio system is comprised of three main zones: the bench, which includes the seven Justices and two clerk locations; the well, which includes the Lectern and attorney table area; and the gallery where the public sits. 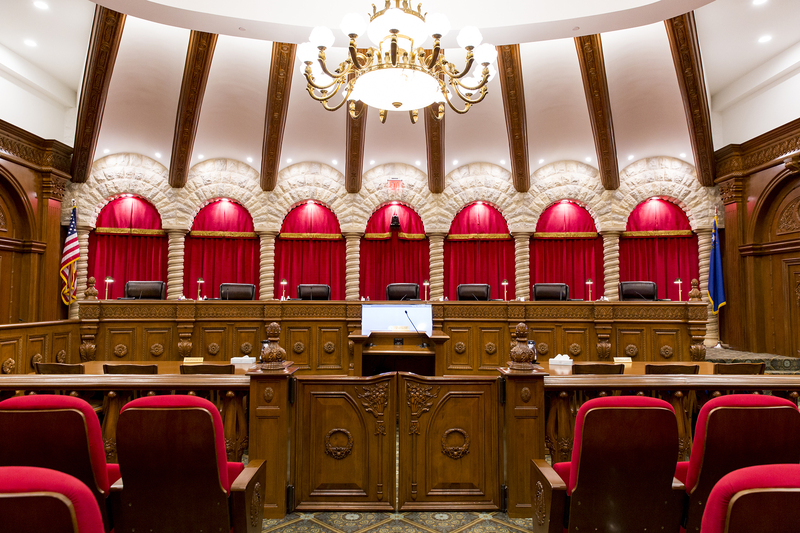 For the bench area, each of the seven Justices has a Lyzard-KZ12 mini line array. The Lyzards were mounted right on the bench and allowed the justices to receive great audio without taking up any working surface. 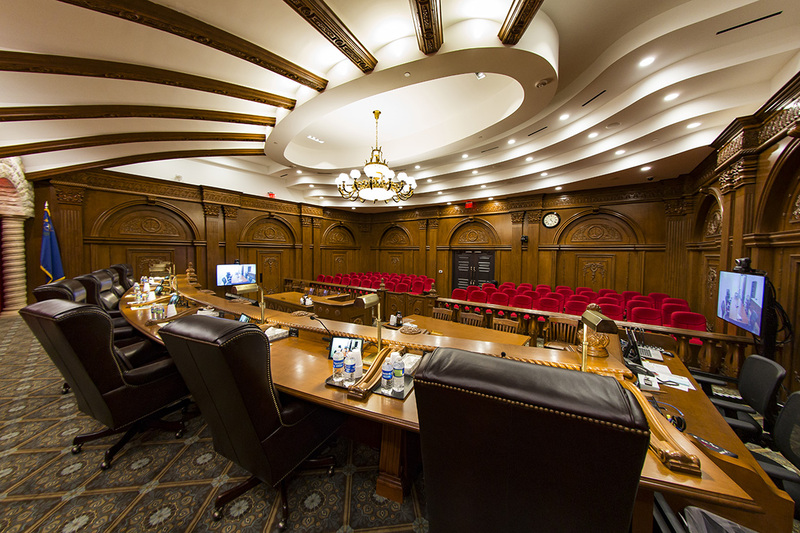 The domed ceiling of the well area made it impossible to utilize ceiling speakers that are typical for this configuration so Conference Technologies installed three color customized Lyzard-KZ12 loudspeakers and incorporated them into the front of the bench. 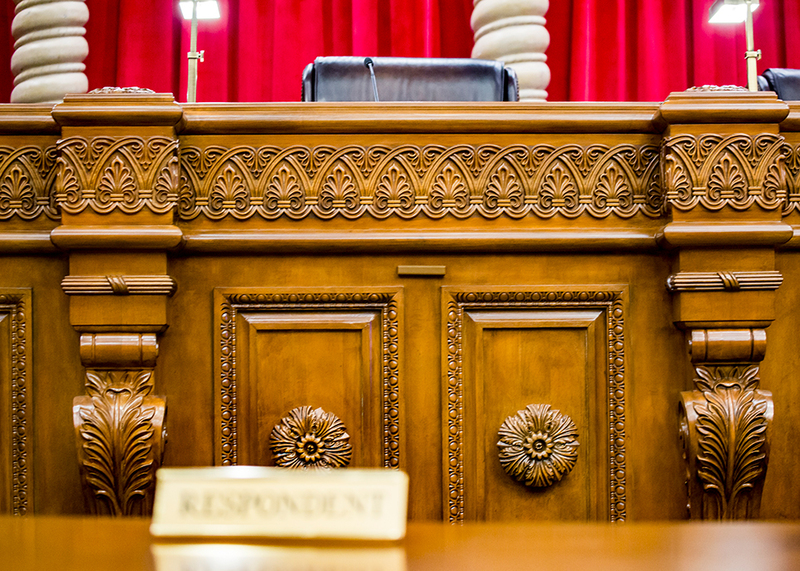 The end result is that the court is very pleased with the system and has received great feedback from the public and the attorneys that have cases in the Supreme Court. Challenges arise when you have a large open space that needs efficient audio reinforcement, while providing high quality audio recording, streaming, and far-end audio. By utilizing the Lyzard speakers, we were able to achieve a distributed audio system allowing us to raise the audio pick-up on the recording and streaming without sacrificing the in-room sound reinforcement.